Note: All screenshots below are taken on a Google Pixel XL. 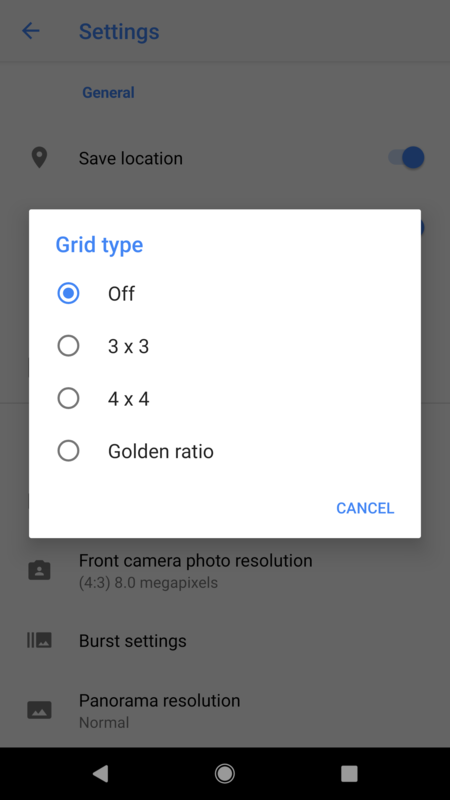 If you're comparing screenshots with your own device, remember that each generation of Google phone will have slightly different options. 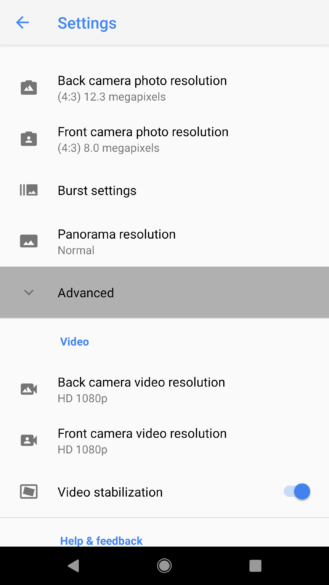 For example, under Settings -> Advanced, you'll also find a toggle called HDR+ control that has been around since the launch of the Pixel 2, but that setting will not be found on older Pixel or Nexus phones. 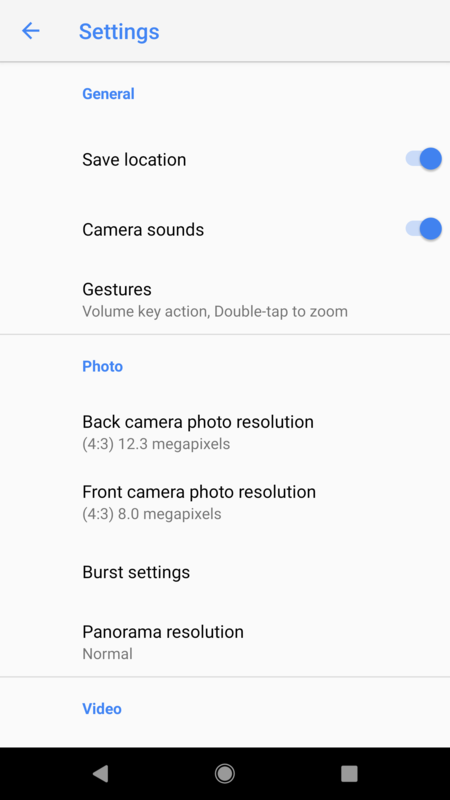 Likewise, the Pixel 2 does not have Burst Mode settings like you'll find on the original Pixel. If you've ever thought the Settings screen on Google's Camera app looked a bit imbalanced, it's probably because it always reserved a fairly sizeable column on the left side for icons, but never filled them in, meanwhile toggles were snuggly aligned to the right side. 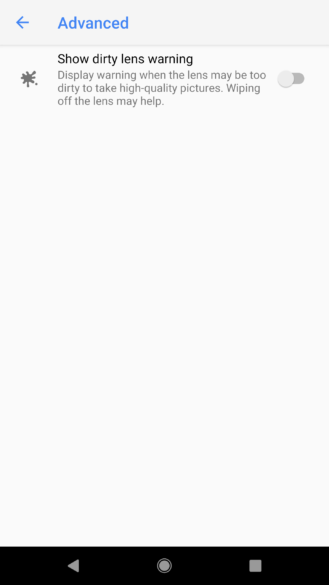 Those days are over, there are now icons for every setting, not counting section titles. Icons aren't just limited to the top level screen, either. You can find them adorning options in all of the sub-pages, too. If you've been following our teardowns since 2015, you might remember an early look at the original v3.0 update shortly before Android 6.0 hit the scene. Part of that teardown included a segment on a new feature promising to let users know if their lens was dirty with fingerprints, oil, or dirt. It has been quite some time, but the dirty lens detection finally materializes in the v5.2 update. Dirty lens warnings are disabled by default, but the toggle can be found in the Advanced page under Settings. No reason is given for it not being enabled, but I assume it's because the algorithm to detect an unclean lens is at least a little computationally expensive, which means it will probably take a hit at battery life. Even though the option is now there, I'm not entirely sure dirty lens warnings are fully operational yet. I've tried leaving fingerprints on the lens, but as it turns out, my hands are currently too clean to leave visible prints – hey, some bloggers care about hygiene. I then moved to the big guns by holding semi-cloudy plastics in front the lens, and even partially obstructed the lens with torn cardboard, but none of these could trigger a warning. 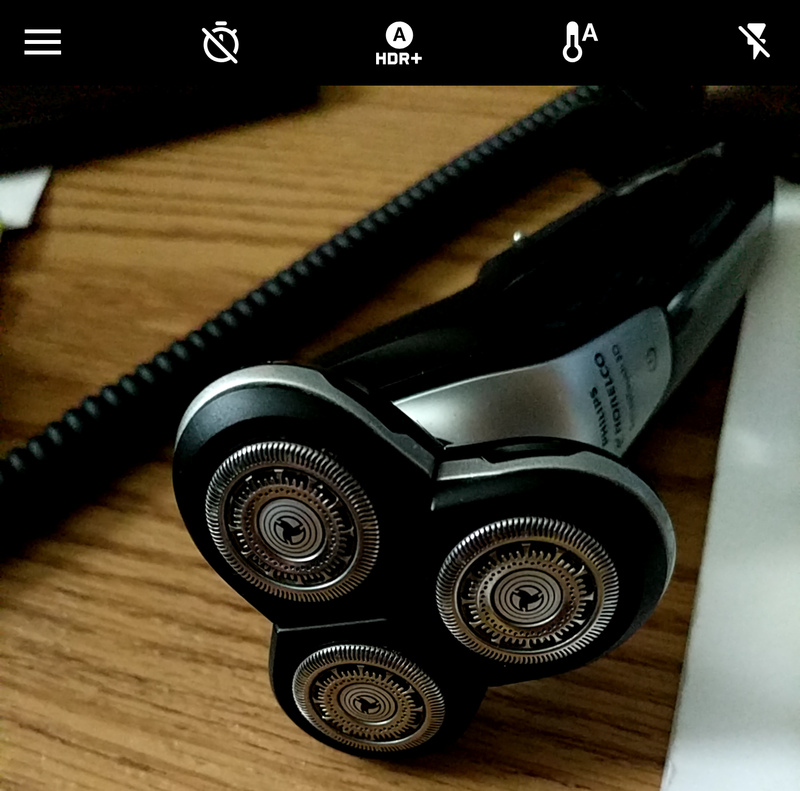 If/Once dirty lens detection is working, it's definitely a great feature for smartphones. People are extremely careful of lenses on dedicated cameras, but very few people seem to be aware of the grime they get on the lens of their smartphone. It's too easy for a finger to land right on the lens when a phone is pulled out of a pocket or purse. This warning could go a long way to helping users to remember to wipe down the lens before shooting a once in a lifetime photo. Check out the two screenshots above and you'll notice there's a bit more space between buttons across the top. That's because one is missing: Grid options. The ability to set a grid overlay hasn't been removed entirely, it has just been relocated to the Settings screen. The same set of options are still there, and there aren't any new grid settings, so this is simply a case of rearranging the UI. I'm going to guess that too many people were accidentally hitting the grid button when they intended to change the HDR+ or color temperature settings; or maybe Google has been tracking user habits and noticed there simply weren't enough people using the grid settings to justify a position in the main screen. Left: v5.1. 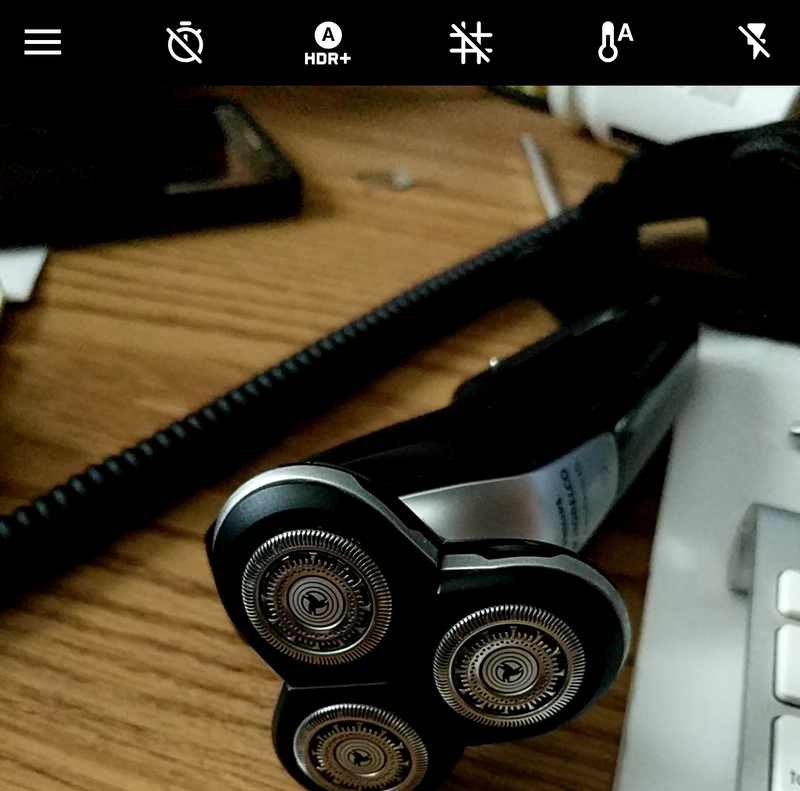 Center + Right: v5.2. 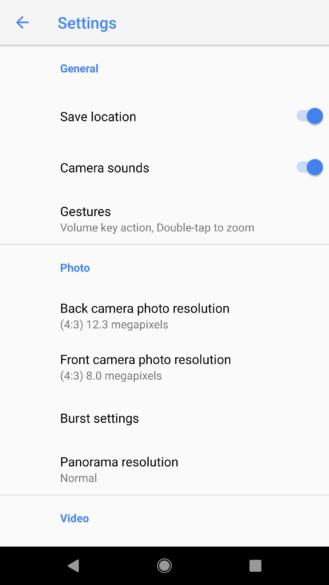 Google has been experimenting with gestures in the camera app for years, but there haven't been a lot of variations in recent history. 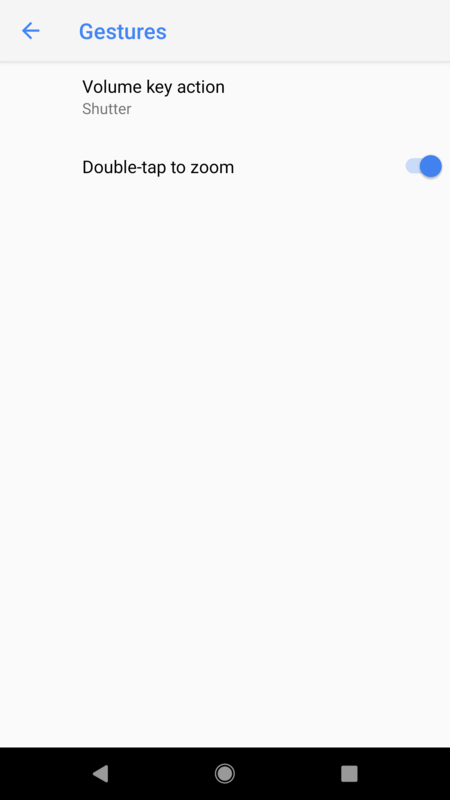 However, this update does bring a bit more configurability to the double-tap gesture. Prior to v5.2, two quick taps on the viewport would invoke the digital zoom. You could turn off that behavior if desired. 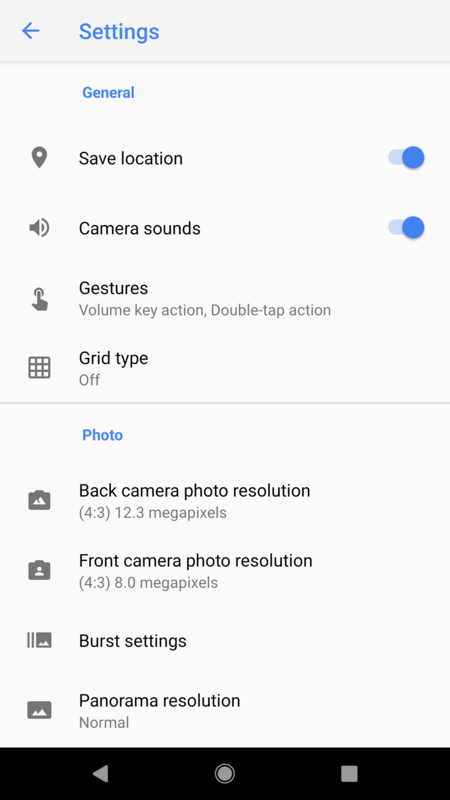 However, with the latest update, double-tap can instead be set to switch between the rear-facing camera and the selfie camera. This is a great new option for people that switch cameras frequently, but it might not be ideal for users that preferred to have double-tap disabled entirely, since it looks like that's no longer an option. It's worth noting that there is still a 'none' option in the APK, but it can't be selected through the interface, so this may be added back in a later update. 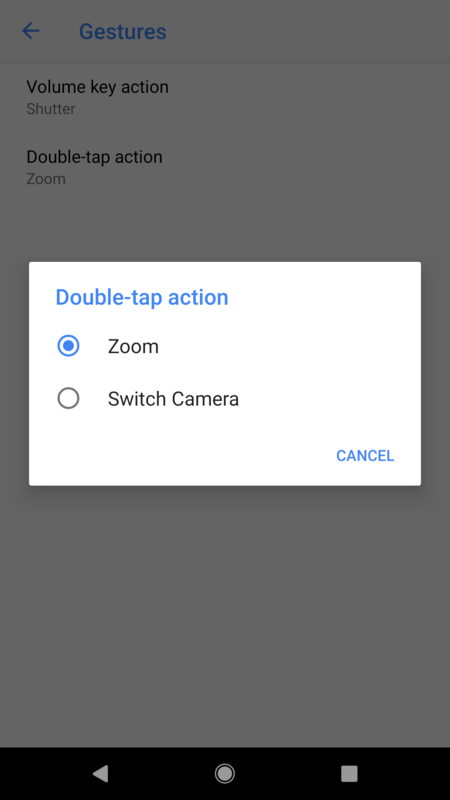 For that matter, there may be other double-tap actions coming to this list, as well. Any discussion about smartphone cameras for the last year or so has been largely dominated by the subject of Portrait mode, or whatever each OEM chooses to call it. 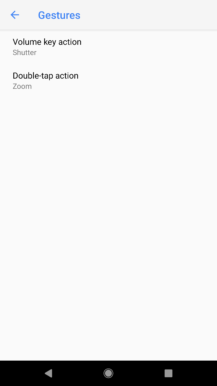 Given its importance, it looks like Google may be adding an app shortcut to jump straight to Portrait mode so there's no need to go through the in-app menu. 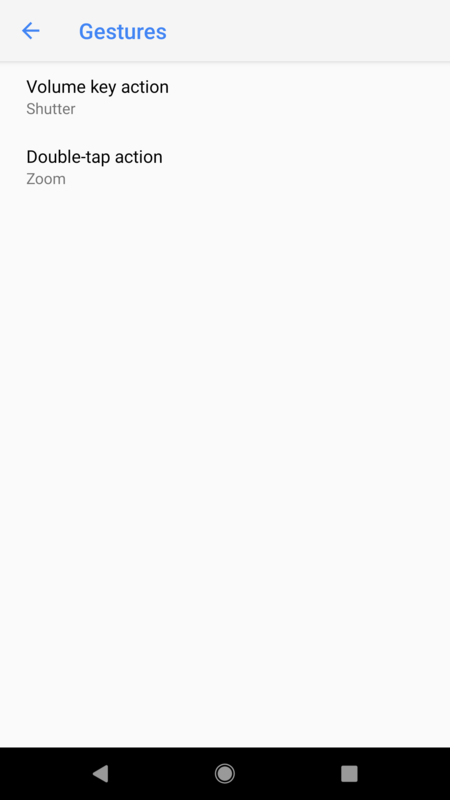 For people that use portrait mode often enough, they'll also be able to tear off that shortcut and place it directly on the launcher screen. 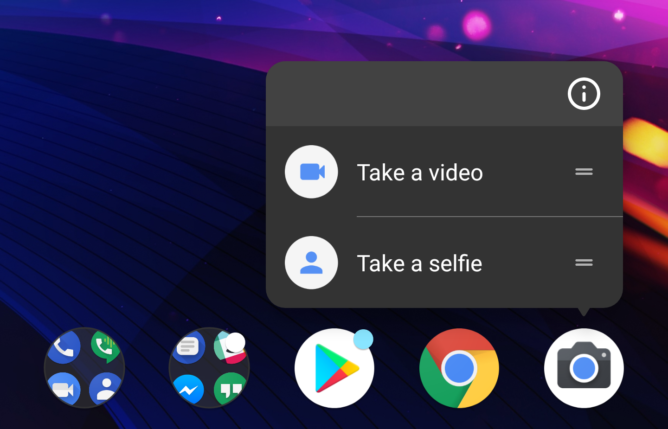 There are already two shortcuts available, one to jump straight to video recording and another to immediately activate the front-facing selfie camera. This is the mystery feature of the update. There's a setting for something called Circus mode. If it were to go live today, it would be found in the Advanced settings group. Note: This is not the same as the 'HDR+ control' setting that appears on Pixel 2 phones. At present, the setting is titled "Circus control" and has the description, "show manual control for Circus mode." It's somewhat notable that this setting doesn't actually disable Circus mode, but rather it enables manual controls for it. This is possibly similar in nature to the "HDR+ control" setting that adds or removes the HDR+ button to the controls on the top bar. I've only spent a few minutes attempting to enable this, but so far the Camera app is automatically disabling the setting at launch, so it may not be possible to activate Circus mode without a custom mod. I have little doubt somebody will be messing with this shortly.